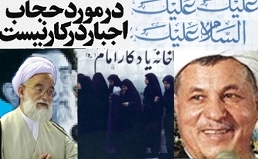 All forms of empty promises were slogan of "Mass Mess of 1979" by Ayatollahs. They promissed, "no form of veil or "Hijab" is necessary". What happened after 1979, was totaly opposite of promises given by Khomeini and his entourges. It was result of teaching by Ayatollahs and their respective religion. 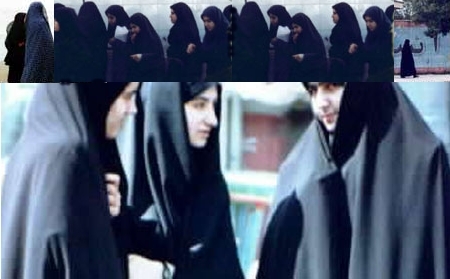 Some fanatic fundamantals have made a comeback of Hijab that was well eliminated by Reza Shah I, some 85 years back (1916).